Save by combining your accommodations and flights. Expedia has some amazing Manga travel packages that'll save time and give you more cash to splash! Book now on Expedia and save up to 40,450 YEN*! It's really that easy! With more than 400 partner airlines and 321,000 properties worldwide for you to choose from on our expansive database, you'll be jetting off on your vacation in no time! Almost all reservations can be cancelled without any extra charges from us. About to jet off on your Manga vacation? Not sure what to add to your travel itinerary? Don't worry — we'll give you a few hints. Nothing rivals getting out into nature, and the wider region offers some wonderful outdoor adventures for you to try. What about some mountain climbing? Still have time to spare? If you're really looking to create some lasting vacation memories, put hiking on your must-do list too. Pass security, amble onboard, find your seat and buckle up! Your well-earned trip to Manga is only a plane ride away. After hitting the tarmac at Nadzab Airport (LAE), you will be around 25 miles (40 km) from the heart of downtown. 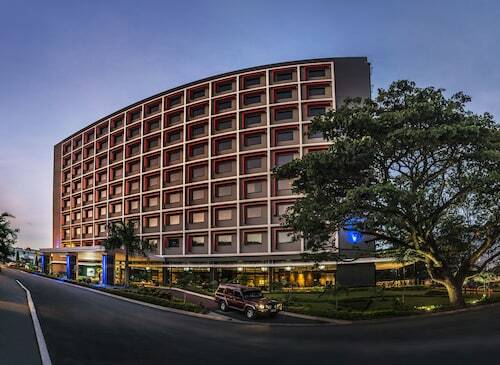 Situated near the airport, this hotel is within 3 mi (5 km) of Port Moresby Nature Park, Port Moresby Golf Club, and Parliament House. Hubert Murray Stadium is 2.8 mi (4.5 km) away. 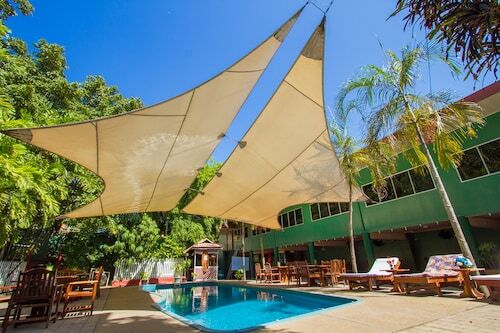 Situated near the airport, this luxury hotel is within 3 mi (5 km) of Port Moresby Nature Park, Port Moresby Golf Club, and Royal Papua Yacht Club. University of Papua New Guinea is 3.2 mi (5.2 km) away. 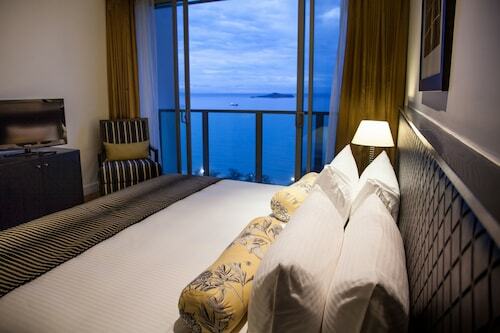 Situated in Port Moresby, this luxury hotel is within 1 mi (2 km) of Hubert Murray Stadium and Parliament House. Port Moresby Golf Club and Port Moresby Nature Park are also within 3 mi (5 km). Situated near the airport, this hotel is within 2 mi (3 km) of Hubert Murray Stadium, Port Moresby Nature Park, and Parliament House. PNG Football Stadium and Port Moresby Golf Club are also within 3 mi (5 km). 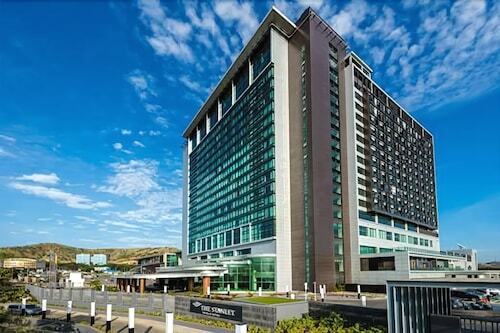 This family-friendly Port Moresby hotel is located near the airport, within 3 mi (5 km) of PNG Football Stadium and Port Moresby Nature Park. Port Moresby Golf Club and Hubert Murray Stadium are also within 6 mi (10 km). Situated in Port Moresby, this spa hotel is within 3 mi (5 km) of PNG Football Stadium, Port Moresby Nature Park, and Hubert Murray Stadium. Parliament House is 2.9 mi (4.7 km) away. 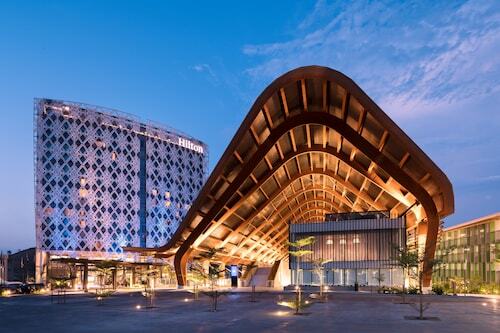 Situated in Port Moresby, this spa hotel is 1.2 mi (1.9 km) from Royal Papua Yacht Club and within 6 mi (10 km) of Port Moresby Nature Park and PNG Football Stadium. Hubert Murray Stadium and Parliament House are also within 9 mi (15 km). 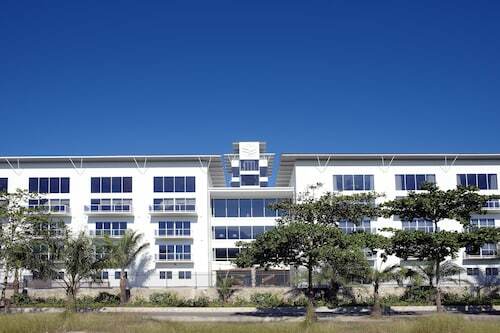 Situated in the business district, this spa hotel is within 2 mi (3 km) of Hubert Murray Stadium, Port Moresby Nature Park, and Parliament House. PNG Football Stadium and Port Moresby Golf Club are also within 3 mi (5 km).